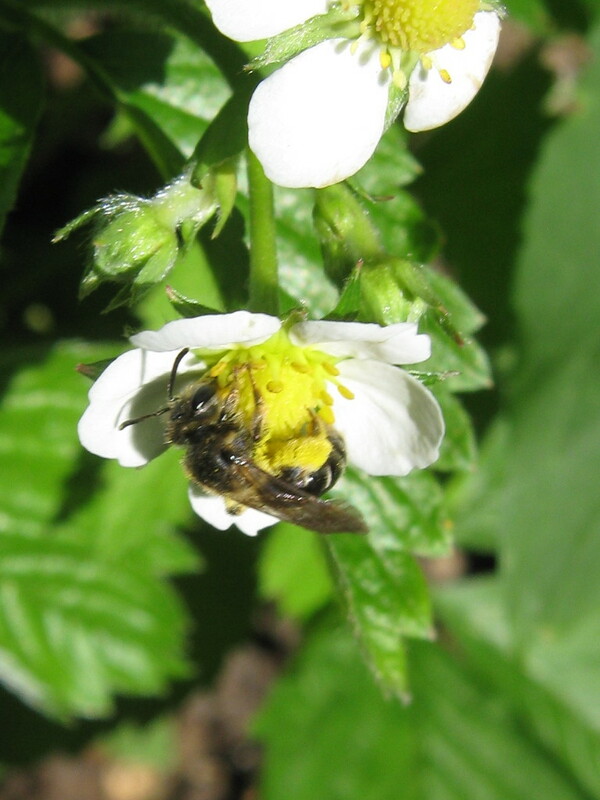 I’m seeing tiny bees everywhere, on the columbines, on the buttercups, on the strawberry flowers. Some are definitely bees when I look closer. One had long antennae and a striped abdomen. One was carrying bright yellow saddlebags of pollen. Some turn out to be flies or beetles or syrphid flies, but none of them stay one place long enough for a picture. It’s too sunny out, too nice. So you’ll have to look at this one tiny bee and imagine the others. Just like I imagined that I hit the Publish button last night.